EK Success Tools Large Paper Shaper Punch Scrapbook Card Art SELECT YOUR DESIGN! We are a family owned business in the US. 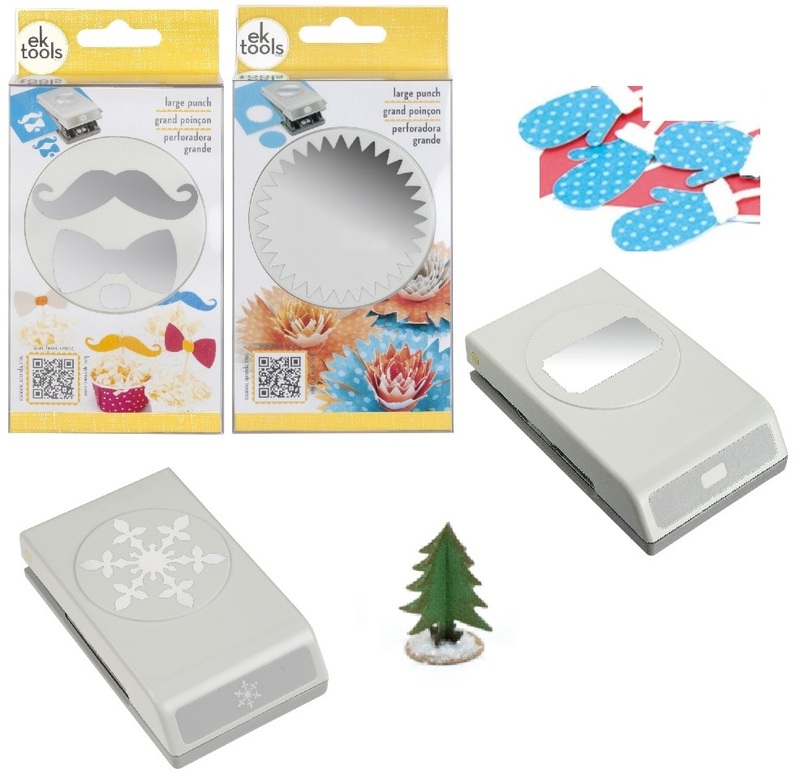 We choose high quality products and innovative designs to better meet your needs: beautiful paper crafting tools, safety scissors for children, razor sharp cutting tools, and creative multi-tools for a variety of tasks. As we grow, our first goal is that all of our customers receive the most courteous, prompt service they have ever experienced, at prices they can afford. Our commitment is 100% satisfaction guarantee or your money back. You will love our products, and you will be delighted by our friendly, personal service! We want our customers to be completely satisfied, which is why we offer a 100% satisfaction guarantee. If you have any problems with your order, please contact us! This is a variation listing. Actual item may vary from picture depending on your selection. EK Success Tools Large Shape Punch. EK's new punches are uniquely compact, sleek, superior and easy to use. These punches include a lock for ease of storage and safety. Select from a variety of beautiful designs by going to the drop down menu in the listing or you can click on the individual image and add to your cart. All measurements are approximate. Punched design measures approximately 2.5 inches, except Ticket is 2 inches, and Mitten is 2.25 inches. Orders will be processed and shipped in 1-2 business days. Welcome International Buyers! Thank you for considering us! International shipments average 2-3 weeks but they can take up to 5 weeks for delivery. Buyer is responsible for any import duties and taxes. These are not included in shipping rates. We do not mark items under value or as gifts. You may return any new, not opened item for any reason within 30 days to receive a full refund, including a refund of the standard shipping associated with your purchase.